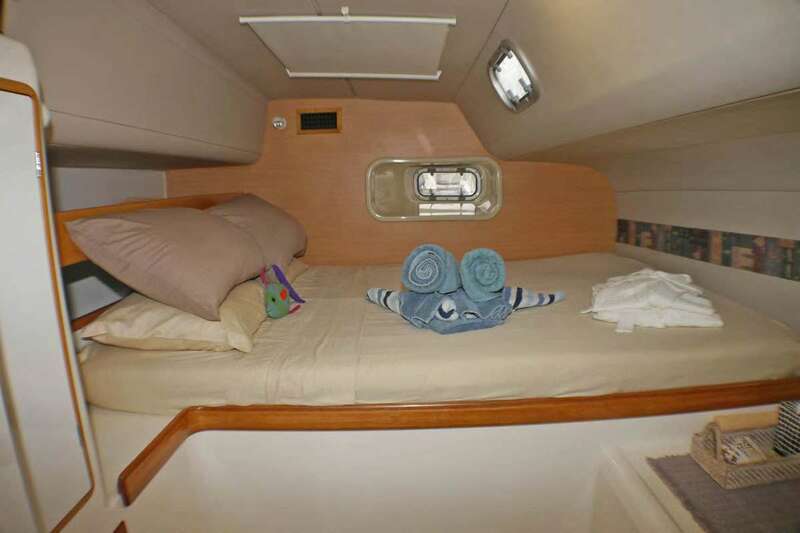 Available as Captain Only or fully crewed. 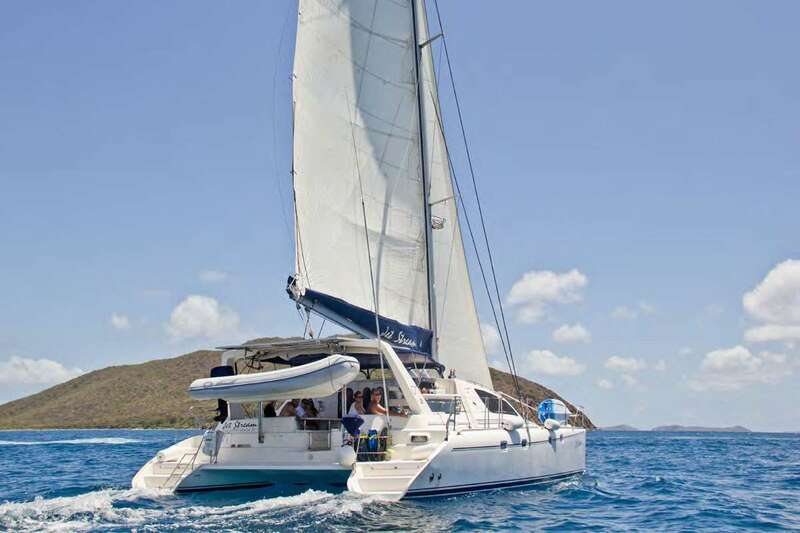 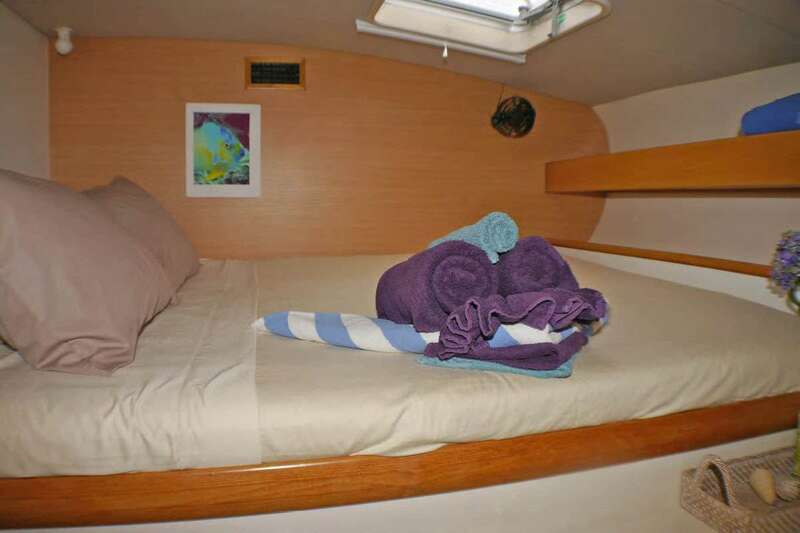 Offering 3 staterooms each with a queen berth and private ensuite electric toilet and shower. 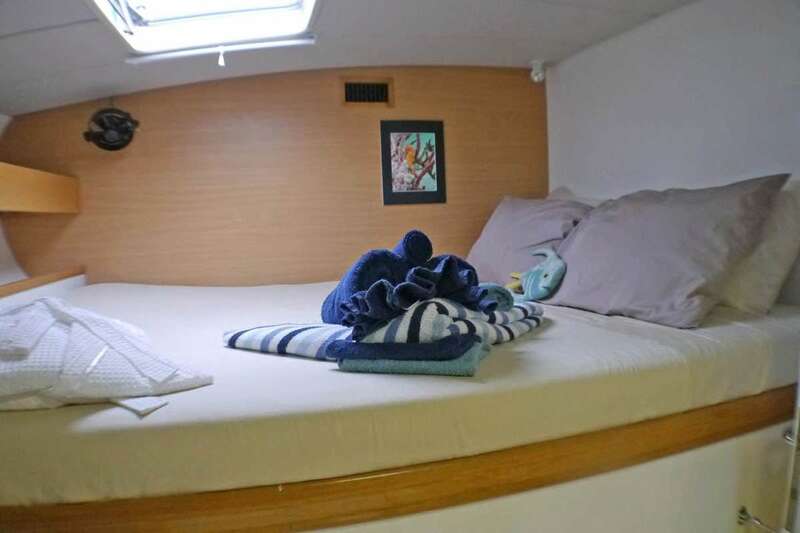 Full A/C available if needed. 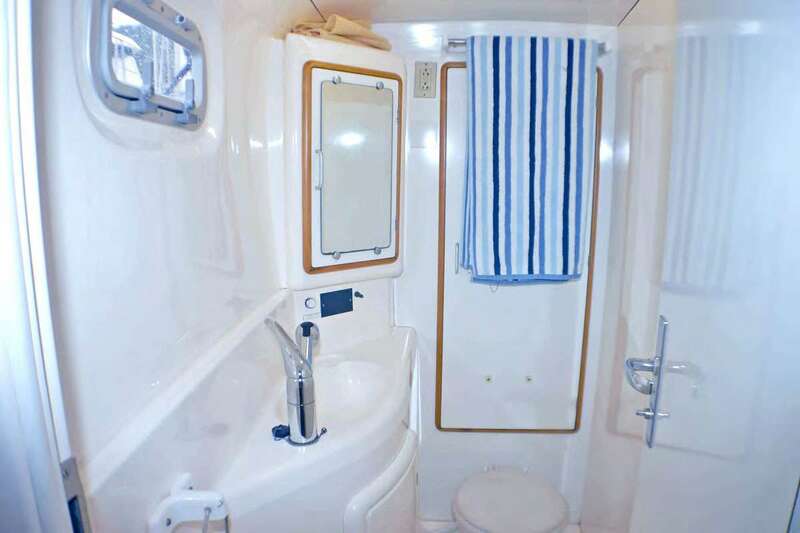 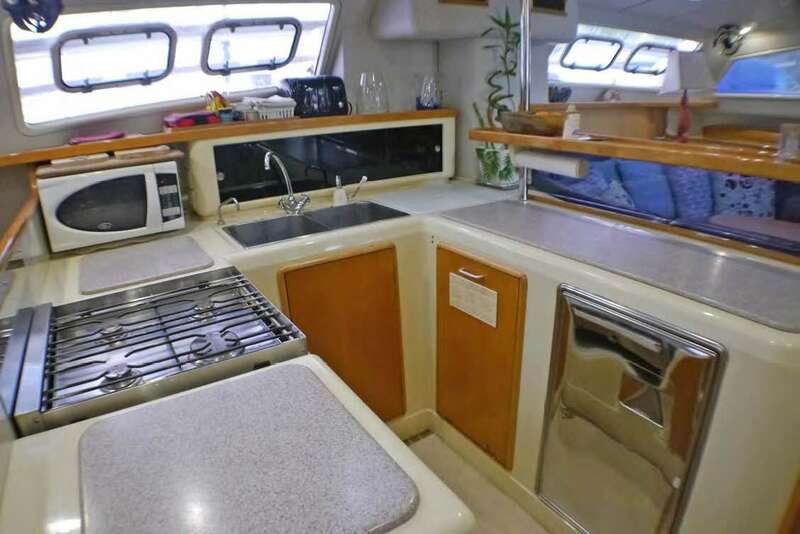 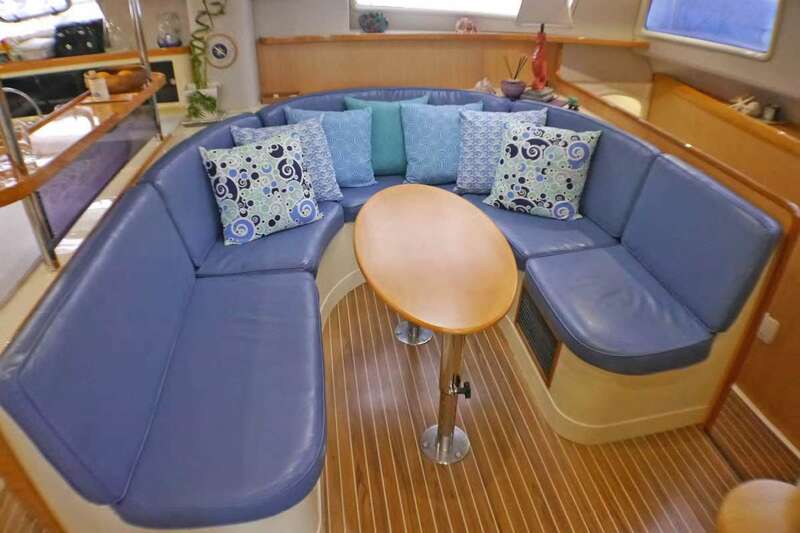 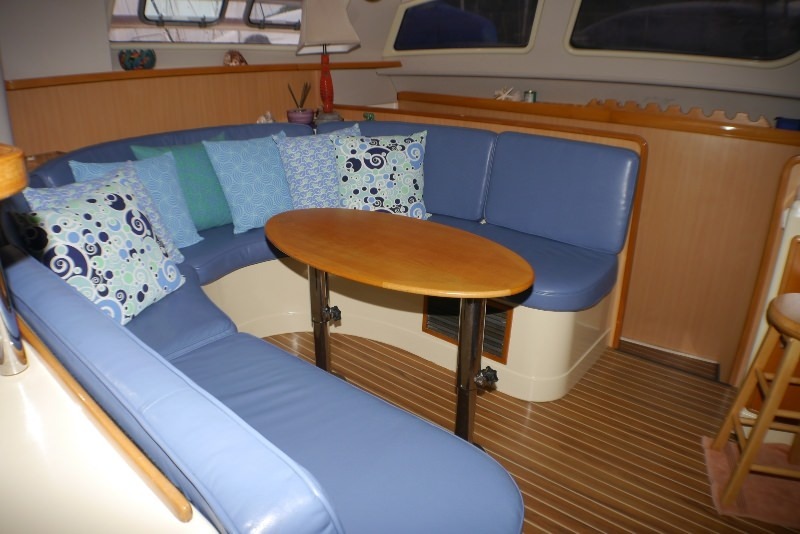 3 queen cabins with en-suite electric head and wet shows.